GREAT MILES 22,652! PRICED TO MOVE $2,300 below NADA Retail!, EPA 31 MPG Hwy/22 MPG City! 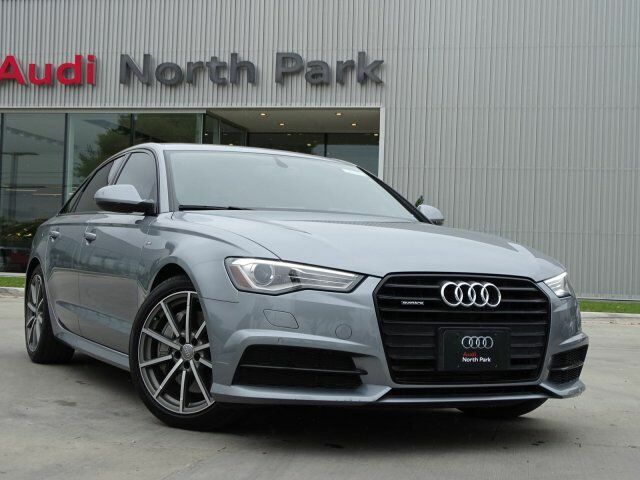 Navigation, Sunroof, Heated Leather Seats, All Wheel Drive, Turbo Charged, Alloy Wheels, AUDI GUARD ALL-WEATHER FLOOR MATS (SE... SEE MORE! PREMIUM PLUS PACKAGE Audi Side Assist w/Pre Sense Rear, lane change assistant, operates at speeds above 19 mph, visual warnings located in exterior mirror housings, Radar technology located behind rear bumper (not visible), Can be turned off, Bose Surround Sound System w/Subwoofer, AudioPilot, 14 speakers and total output of 630 watts, Driver Information System, color display and trip computer, USB Audi Music Interface Replaces proprietary iPod cable w/USB ports, Audi Connect w/Online Services, 4-Zone Automatic Climate Control, separate air distribution controls for driver and front passenger, Heated Auto-Dimming Power-Folding Exterior Mirrors, passenger tilt, memory and LED turn indicator, Power Adjust Steering Column w/Memory, COLD WEATHER PACKAGE Heated Rear Seats, separate controls in rear of console Sunroof, All Wheel Drive, Chrome Wheels, Remote Trunk Release, Keyless Entry, Child Safety Locks, Steering Wheel Controls.